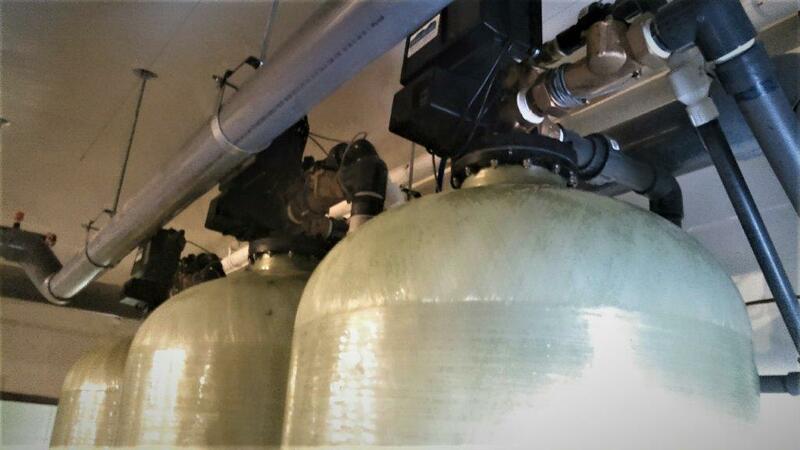 These three 30 cubic foot each water softeners service the boiler make-up water. There is a Cla-Val to blend the soft water to create a 3 grain hardness, per the Marriott instructions. 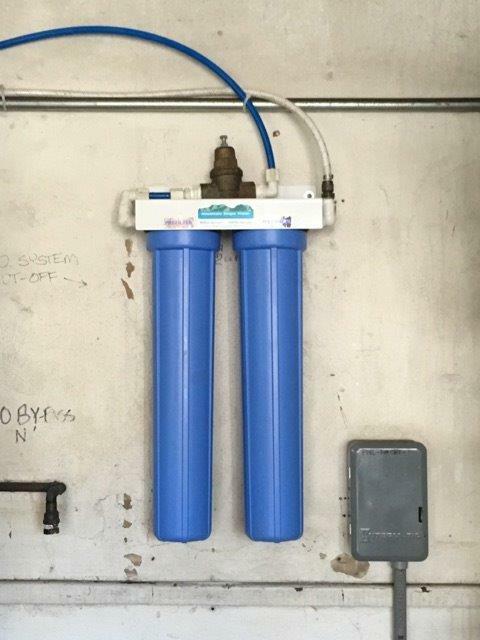 These three units were plumbed into a 6″ mainline manifold down to 2″ line, three times. The plumbing was very complicated and quite impressive. The valves used were alternating Fleck 9000 2″ valves. 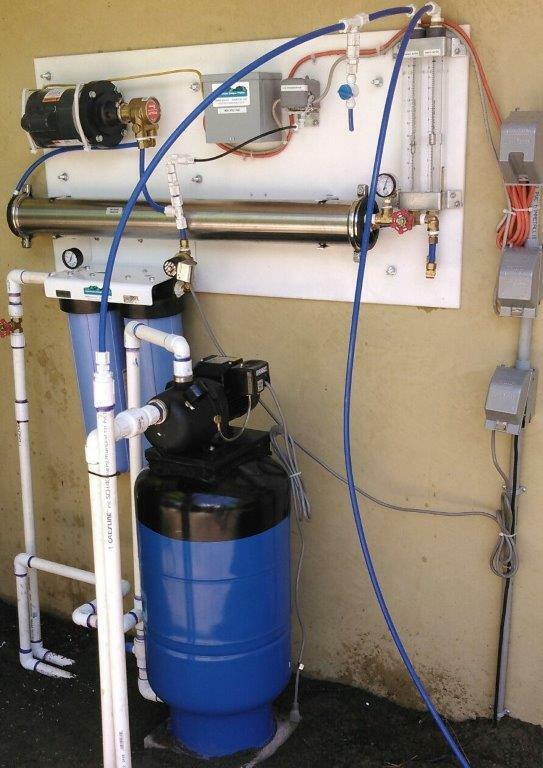 The installation was done by Mountain Slope Water and was completed over a period of approximately 5 days. 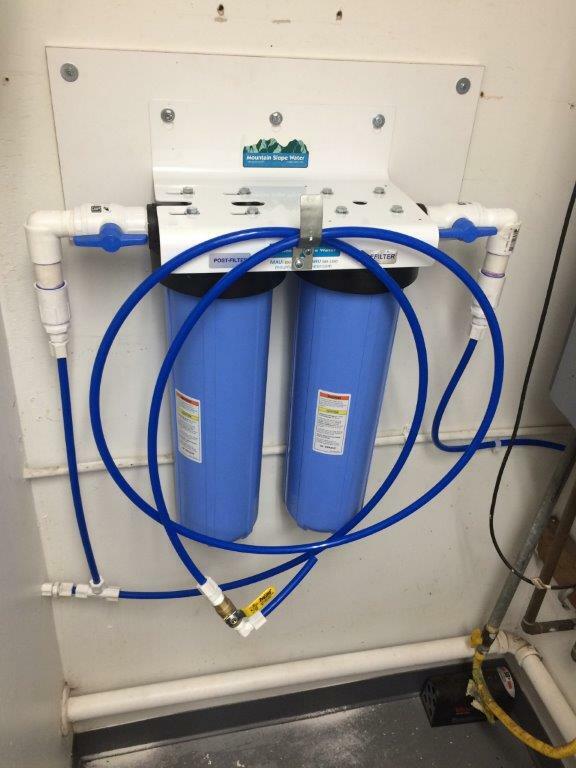 This unit is designed with a 2501 micron sediment filter and a radial flow carbon filter. 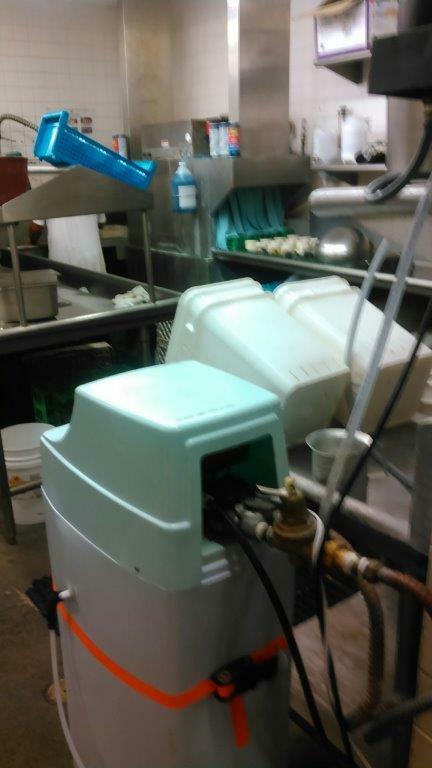 The client uses the fill line to fill containers for syrup concentration mixing. 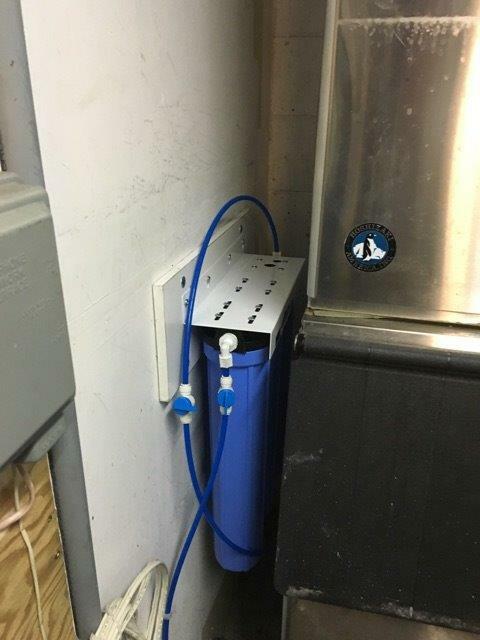 This unit is also connected to an expresso coffee maker located in their service area. 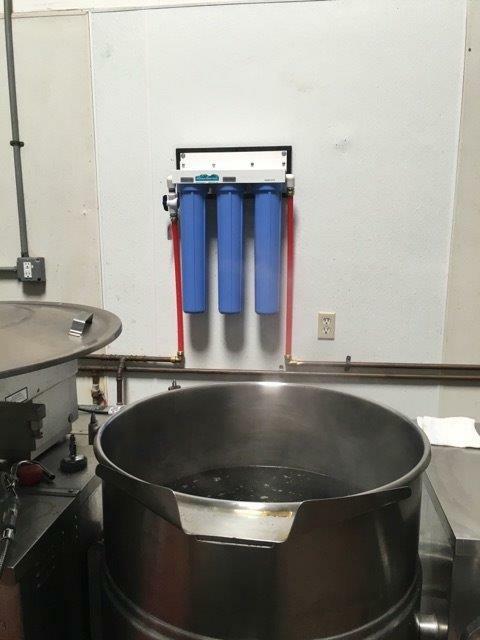 Tri filter with sediment, carbon and phosphate for scale elimination ice maker application. 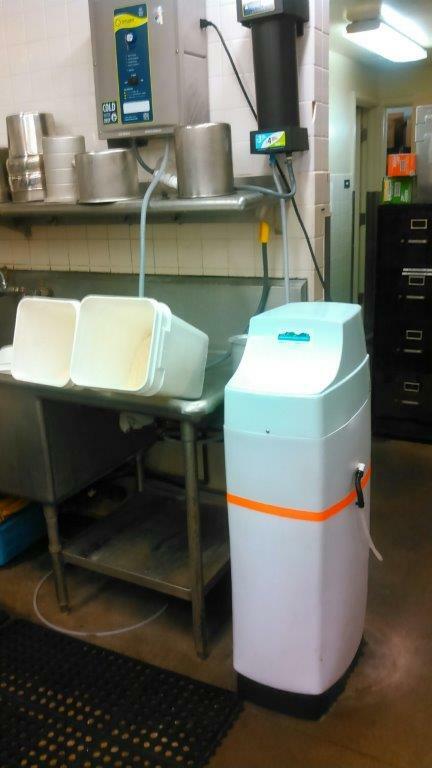 This equipment is purifying water for potable use. 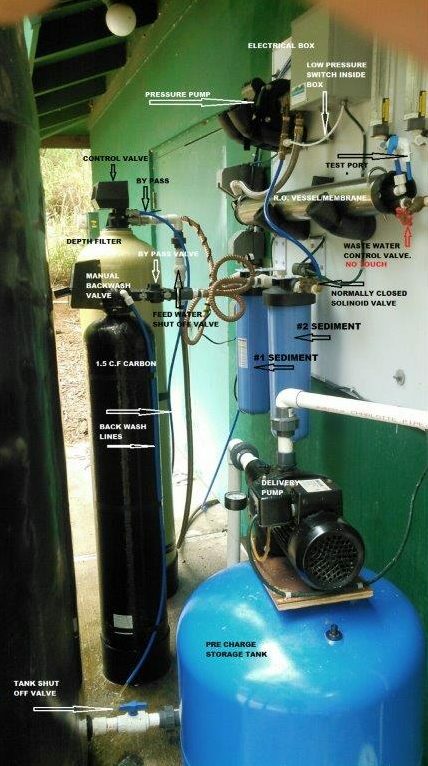 The incoming water is 4,000 PPM and the product water averages about 40 PPM.